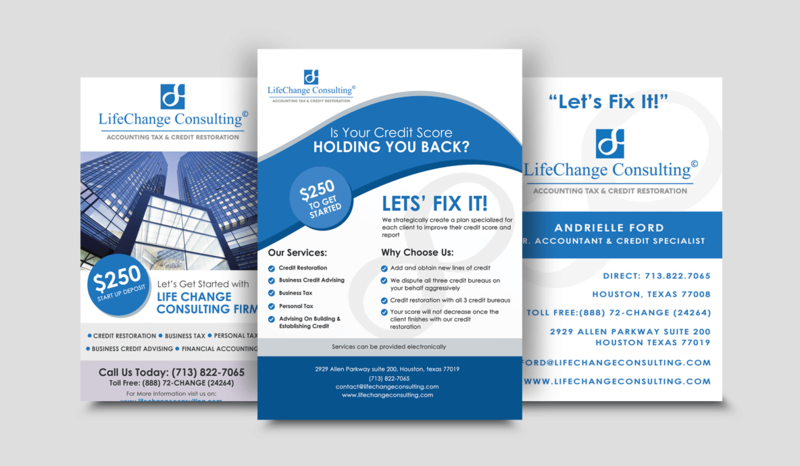 Life Change Consulting is a credit repair company, located in Houston, TX. This client hired us to design a variety of items for their print marketing. 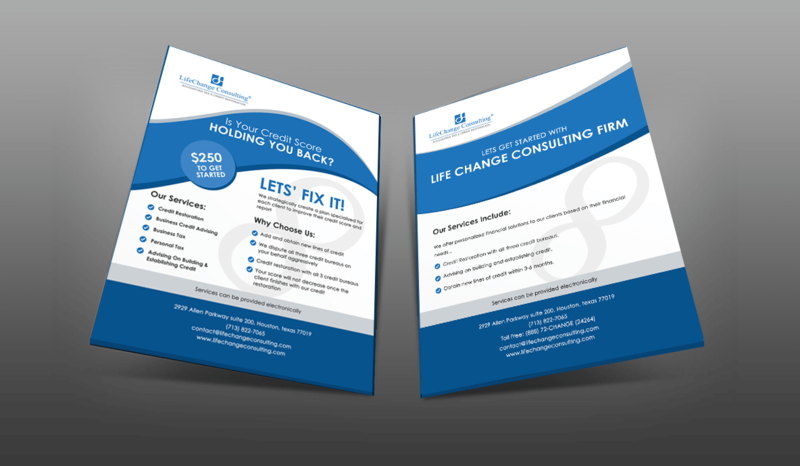 This project included designs that were delivered for print including yard signs, brochures, rack cards, business cards and a variety of letterhead templates. 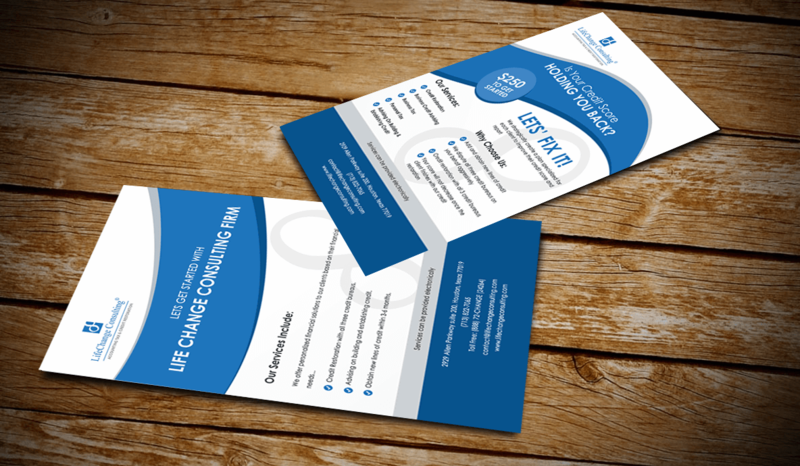 If you enjoy this project and would like us to create any kind of physical print and marketing material for you, don’t hesitate to contact us at accounts@buerinteractive.com or call us at (832) 699-3631.